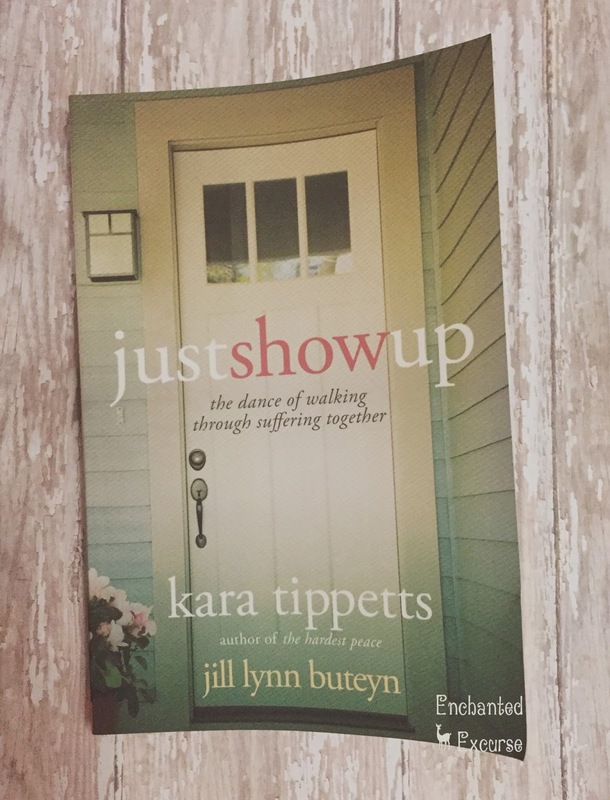 Disclosure: I received Just Show Up: The Dance Of Walking Through Suffering Together by Kara Tippets, Jill Lynn Buteyn Complimentary from David C Cook and Family Christian. Provided I give an honest response. Hello loverlies! 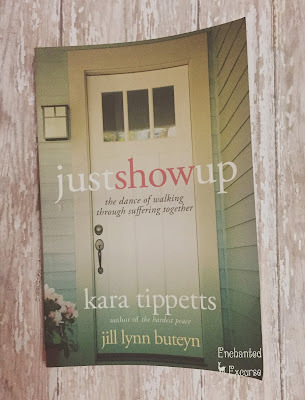 I had the wonderful chance to read Just Show Up: The Dance Of Walking Through Suffering Together by Kara Tippets, Jill Lynn Buteyn. It is a great book to read if you or even a friend of your's has friends or loved ones going through a rough battle. Be it cancer, disease, mental illness. I think what is written here can easily be used for any rough time. This book talks about basically, Just showing up. Even if you don't think you should show up at times, show up. Ask the specifics, like if there are meals they need help with or if they need help picking up their children from school. Jill explains what things she learned not to do and what to do. She states also to pray and take the Lord's guidance in if/what you should do for that person. In the beginning it already tells you that Kara Tippets has passed. Which I find is very sad, but she has played a big part role in this book. She basically writes about what she is going through, so we can see it in her perspective. Also explaining what you should and shouldn't do for that person that is hurting, or even say. She ends her chapters with different questions to get you thinking. Am I doing what God want's me to while helping this friend/loved one hurting. What I found was beautiful about Kara is how she brought a whole community together, and made them all friends. What love and strength it is to be able to do that. Here i'm struggling to even find friends myself. I feel I would be blessed if I was able to have this gift kara had, and bring a whole community together. If you are struggling with trying to figure out what to do with your ill friend/loved one, Let's even say, a person you aren't really friends with and know is going through a rough time. This is the book for you to read. We should all be coming together and helping each other. Even if it is just a small task, that is what God wants. I know I will be keeping this book for myself, that way I remember to reread it whenever I do happen to have a friend/loved one that needs help. You can find this book to purchase at Family Christian. Have a Blessed Day!